On October 8, 1991, Elie Nduwayesu was in class teaching at Rwankeri Primary school then Nkuri commune when law enforcement officers ambushed him. Nduwayesu was told to follow them. He tried to ask what was going on, and one of the officers barked at him angrily. He was later informed that it was the Prefect of Ruhengeri Prefecture who had sent for him. The officers took Nduwayesu to Ruhengeri town where he met a prosecutor who explained to him his fate. “The prosecutor told me; first you are a Tutsi meaning an accomplice of RPF Inkotanyi, second, you are an intellectual, so you have to die,” Nduwayesu recalls. Upon hearing this, Nduwayesu told the prosecutor to record that ‘verdict’ so that he, in turn could sign it because he had already put in mind that he would not escape. The prosecutor ordered that Nduwayesu be taken to Ruhengeri prison. When he turned to proceed to go, he realized that he was with a colleague, one Emmanuel Havugimana and Masabo, a medical practitioner. “The officers took us to the prison, and when we arrived, they warned inmates that three generals from ‘Inyenzi’ were joining and they started preparing to beat us,” Nduwayesu narrated to our reporter recollecting the bitter memories. However, when they opened the gate, the inmates were surprised to see the people that were being labelled war Generals are teachers who have been educating their children and a doctor who treats them, they laid-back. Nduwayesu and colleagues were led to Cell Number 4 where over 200 inmates were squeezed. “Our meals were composed of beans you could count and were received once in the evening. A huge projector lighted the room day and night and it was really hot that we could never afford to put on clothes,” Nduwayesu said. Several other inmates who were also accused of being accomplices ‘Ibyitso’ of Rwanda Patriotic Front (RPF) Inkotanyi were brought to the jail that was highly guarded and some were in pain after being tortured. A plan was made to kill all the inmates in the cell and to dump them in huge dumps that were dug in the prison compound. However, a day before the plan was executed, an unforgettable morning of January 23, 1991, inmates woke up to the sound of gunfire. “It was exactly 4:46 am when we heard exchange of gunshots, a fight that lasted for almost one hour. As guns went silent, a young man opened the door of our cell and shouted: you are free. Come out” Nduwayesu narrates. The free men were ushered to an assembly point at National Post office and RPF Inkotanyi officers proposed them to either join the army or go back to their families. “I personally did not have any other option. I had to proudly follow my rescuers,” Nduwayesu said. 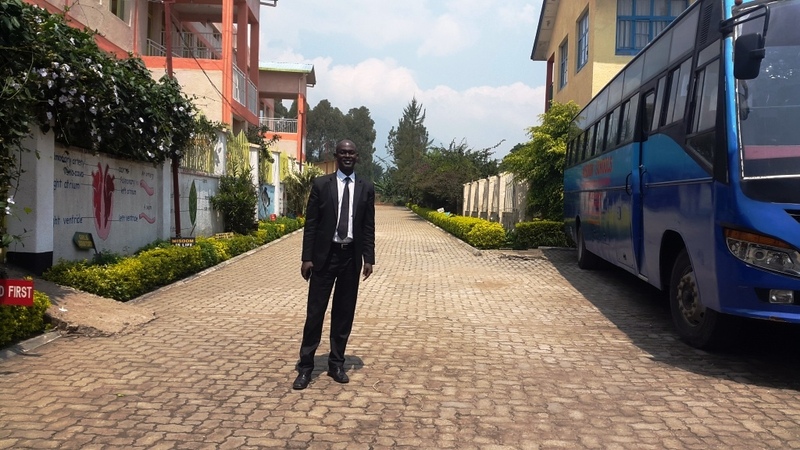 Nduwayesu is now the founder of Wisdom School – which has from nursery to Secondary school in Musanze district, Cyuve sector towards Kinigi. “I bought land on the road I followed after RPF rescued me and built this school as a reward to the Rwandan liberators. To me, January 23 was a rebirth,” said Nduwayesu.